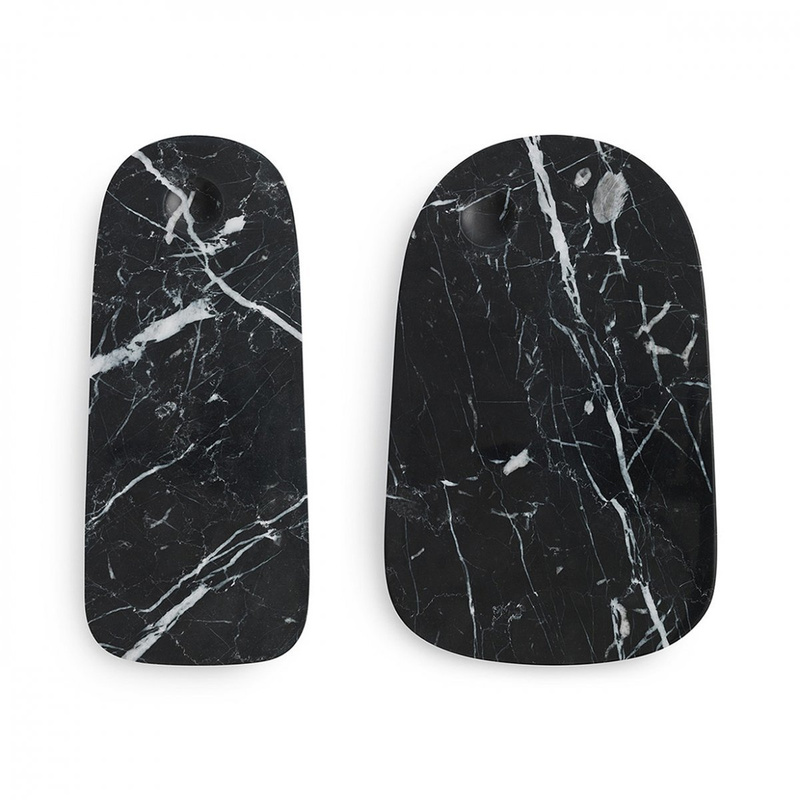 Pebble cheese large board by Normann Copenhagen is a very particular product, an object that knows how to masterfully bring out the proverbial beauty of marble. It is highly unusual that for the realization of a cutting board such a material is chosen: the cutting boards are typically produced in wood or plastic, but certainly not in such a prestigious and valuable material. The sight offered by this article is exceptional: people are used to link marble to the making of elegant shelves or refined finishes, and not to objects to be used in the kitchen! 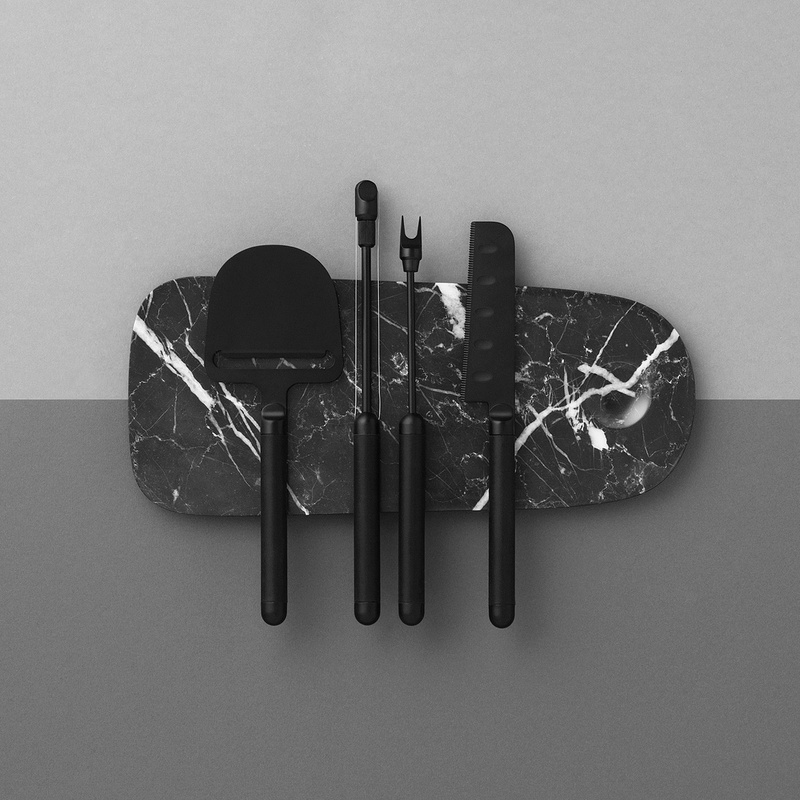 Precisely for this reason, therefore, the Pebble cheese large board by Normann Copenhagen goes far beyond its purely functional aspect: this article, in addition to being used to serve various types of food, deserves to be considered a proper design object. 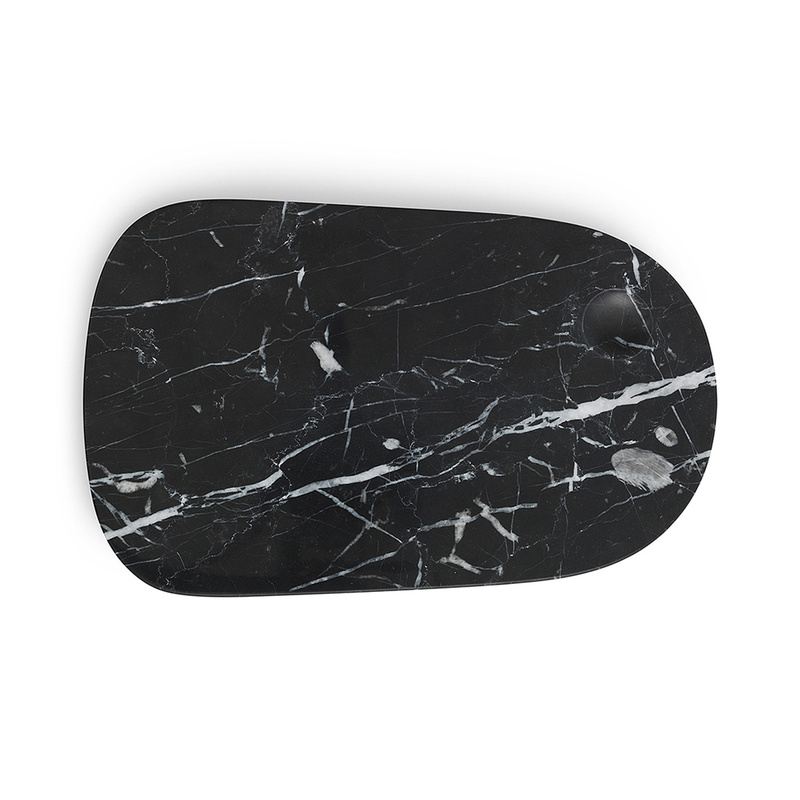 Needless to emphasize how resistant the marble is: it is known that marble is among the most solid materials ever, reason why it is assured that this cutting board is intended to preserve itself at best over the years even if subjected to massive wear. Just like the classic boards, also the Pebble cheese large cutting board can be used to serve various types of food: not only cheese, then, but also cold cuts, bread and more. Using such a cutting board for cheese serving is definitely symbol of luxury, and such an object can be of course a good choice for all those restaurants that want to offer a quality service. Information: clean with a damp cloth.